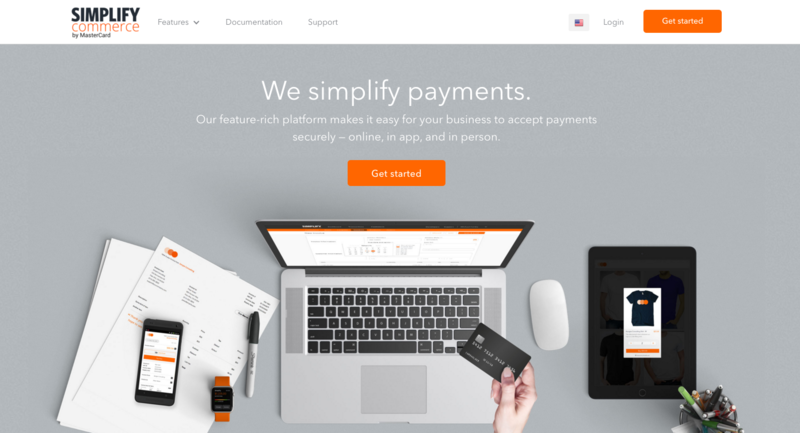 Simplify Commerce by MasterCard is a massive player in the payments industry and we are proud to work with them to offer secure, reliable payments to WooCommerce stores. They have been a dependable partner for many WooCommerce stores and developers, always ensuring their businesses get paid securely, quickly and with the least amount of fees. Their versatile payment platform is also continuously increasing its features and ways for businesses to keep track of their growth. Their latest payments Apple Watch app is only one example of how they help business owners keep tab on their business while juggling all their other duties. This versatility is winning over stores in droves. Already numerous WooCommerce stores and developers are using this integrated gateway to power their payments. “We believe that no business should be limited because it can’t accept a payment, and every customer should be able to pay how they want to pay. We’ve been helping developers integrate Simplify into some of Woo’s best eCommerce stores,” said Vice President of Technology, Rahul Deshpande. Some of their merchants include the spicy hot Huy Fong Foods and are featured in their latest round of merchant testimonials on YouTube’s Simplify Commerce channel. “We are proud of the work we’re doing with Woo, and were excited to connect with our Woo merchants and showcase our new innovations at the conference this year,” Deshpande continued. Part of their innovations this year include their increased security features, which Siddique Hameed, Technical Evangelist for Simplify Commerce discussed in his presentation during the conference. Hameed made some excellent points during his WooConf presentation. Our top four that we recommend businesses pay attention to are below. There’s been a 32% increase in fraudulent transactions from the second half of 2013 to the first half of 2014. Businesses have seen a 254% increase in fraud attempts on digital goods in 2015. 42% of US merchants who sell online are reporting an increase in card-not-present fraud. Simplify Commerce is offering a new security product which is open exclusively to WooCommerce clients for a beta. Simplify Commerce, which is available for businesses in WooCommerce 2.2 offers its businesses a payment technology that is easy to integrate and enables your customers to accept payments via website, mobile app and in person. Learn more about Simplify Commerce and Woo here. A huge shout out to MasterCard for their great work in the world of online payments, and for coming aboard and supporting WooConf 2016 as a black belt sponsor.